Are you subjected to inappropriate behavior in the workplace? Do you feel it is serious or ongoing? You may be in a hostile work environment. Every employee is entitled to a safe workplace where they can perform the duties of their job. However, when this right is infringed upon because of someone’s inappropriate behavior or speech, it could be deemed a hostile workplace by the courts. Employers are usually held liable if they fail to protect their employees from a hostile workplace. These laws were put in place to prevent employers from discriminating against their employees and interfering with their ability to do their job. Although there are many ways to create a hostile workplace, one of the most common involves sexual harassment. This occurs when an employer’s behavior, which is sexual in nature, becomes so severe it impacts an employee’s ability to perform his or job duties, whether he is a direct victim of the harassment or not. In order to prove a hostile workplace exists, you must be able to show the employer has discriminated against you because of your inclusion in a protected class. These protected classes are those listed in Title VII of the Civil Rights Act of 1964 or protected by state or federal law, including race, color, national origin, religion, disability, gender, veteran status and age. It’s important to note sexual harassment is considered to be a form of gender discrimination, which is why it is covered under hostile workplace laws. Besides this, you will also have to prove the harassment occurred. Keep in mind isolated incidents of inappropriate behavior are not illegal because the law only views repeated, ongoing behavior as harassment. Although an isolated offensive joke or gesture may be inappropriate for the workplace, it is not considered harassment. To prove your case, you will need to show the harassing behavior occurred on multiple occasions and over an extended period of time. Any employee who is stuck in a hostile workplace is legally allowed to report it. This means employees who are directly harassed along with third party employees who are only witnesses to the behavior can report hostile work environments. This is permitted by law to ensure that every employee is given the same right to a safe, productive workplace. In the majority of hostile work environment cases, the managers, supervisors, or other authoritative figures in the workplace are held liable. The only way these parties can escape liability is if they can prove they were not aware of the harassment and therefore could not have been expected to do anything to stop it. If co-workers are responsible for creating a hostile work environment, your employer may still be held liable if the employer knew or should have known about the harassment taking place. 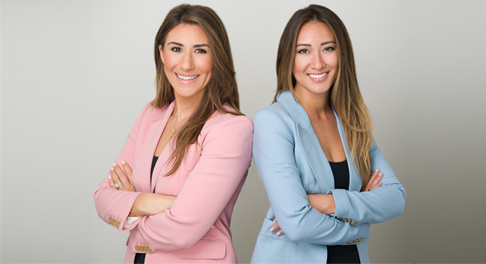 For example, if you reported the ongoing harassment to your supervisor or Human Resources department who then decided to ignore your complaint, the employer would be held liable since they were clearly aware of the issue. Employees’ rights are protected under both state and federal law, so you should never have to tolerate hostile work environments. 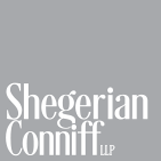 Contact Shegerian Conniff today to discuss your legal rights with a team of competent and qualified employment law attorneys.